Note: This app is not longer available at Google Play. 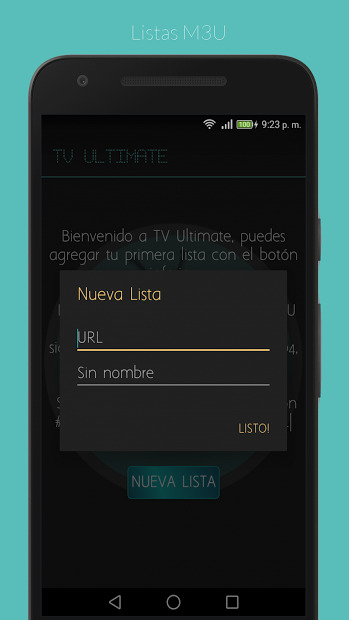 TV Ultimate is a streaming video player app, in which you can quickly and efficiently manage links m3u, m3u8, mp3, mp4, avi, mpeg, mkv and ts remotely. It also supports the headers indicated with #EXTVLCOPT and with the format URL|User-Agent=UA. The interface is simple and intuitive and its so easy to use. Don’t forget that you can cast the content to your Chromecast to enjoy the videos on the big screen!